Then, in 2013, gold took a nose dive, losing over 27% of its value. So that begs the question, did the Swiss National Bank actually lose $10 billion? It still had every ounce of gold in its vaults. And gold, after all, ismoney. And right now, banks are buying up gold hand over fist. 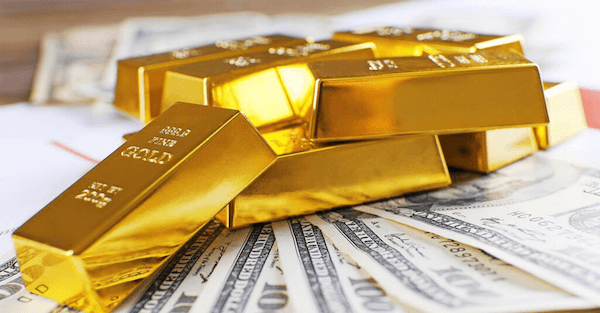 Central banks currently hold 20% of all the gold ever mined—33,000 metric tons. Just that one word difference sent markets soaring. But the joy was short lived. There’s also the trade war with China, intensified by the Trump administration tariffs. And then at the summit in Buenos Aries last week, China and the USA suddenly came to an agreement. They will halt the tariffs for 90 days for a three-month truce in the trade war. That sent markets soaring. Then people read some tweet from Trump and worried the tariffs might be back on… markets dumped. If there is one thing markets hate, it is uncertainty. And there’s plenty of uncertainty to go around today. While the DOW dips and climbs by hundreds of points, gold is still hanging out just below $1,250 an ounce. And it really hasn’t made any major moves up or down since 2013. Yet today, an ounce of gold has about the same purchasing power as it had 1,100 years ago… talk about steady. So while every other asset is still at or near all time highs, gold is relatively cheap. Gold has held its ground during all this market volatility. That is exactly how you want insurance to act. It holds steady in the face of craziness, even selling for a discount when everything else is as expensive as it ever has been. It makes more sense to buy something cheap, that no one is excited about, while people clamber for exciting but massively overvalued stocks like Tesla and Netflix. Since 2008 this massive monetary experiment of quantitative easing has sent stocks and assets to dizzying, unsustainable highs. We think this experiment is coming to an end. The day of reckoning is close. What do you do for the I don’t knows? You get some cheap gold while you still can. And by the way, while gold is on sale, silver is an even better deal. In ancient times, the price ratio between gold and silver was about 15:1, meaning an ounce of gold was worth about 15 ounces of silver. 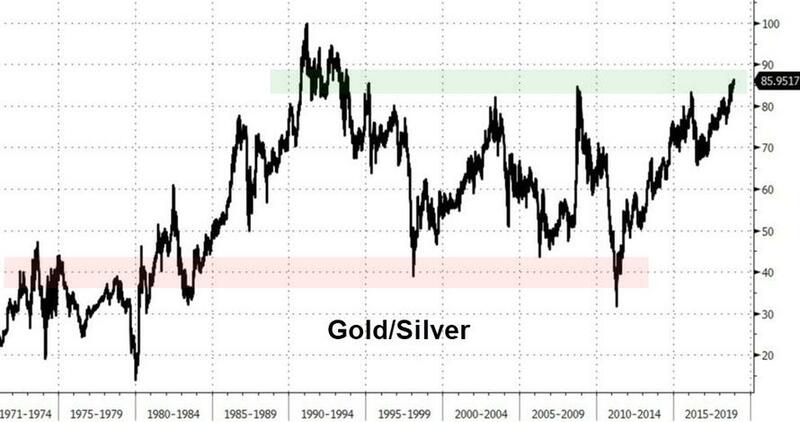 But over the past decades, this ratio has been closer to 50:1—an ounce of gold sold for 50 times what an ounce of silver sold for. Today, that ratio is about 85:1. To be fair, this could mean gold is overvalued, not that silver in undervalued. It’s a safe bet that gold goes up, and silver does too, possibly even more than gold.